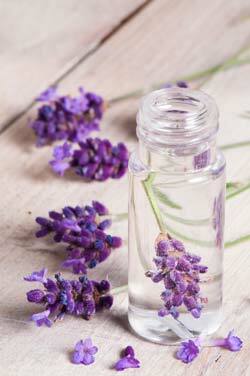 Essential oils are extracted by heating plants to release their oils. This process causes the moisture in the plants to be released as well, in the form of steam. The steam that is left over from the essential oil distillation process can be condensed and used as a hydrosol, also known as floral water or flower water. Hydrosols contain many of the same nutrients as essential oils do, but they are much less potent. There is about .02% essential oil in hydrosols. Because they are already diluted, hydrosols can used directly, without having to be mixed with a carrier. They can be applied topically, ingested, or diffused through the air. They are very mild which makes them ideal for use with babies and children. They can also be very helpful for those with immune deficiencies because they are less likely to cause irritation. ydrosols, like essential oils, are slightly acidic. Most bacteria cannot thrive in an acidic environment, which is why hydrosols work well as astringents. They are great to use in skin care products like toners, creams, or lotions. Floral water also has a very pleasant, light scent. It can be used as a body or linen spray to give a natural, fresh smell. It can be used in the place of water when you are mixing your own skin care, beauty or cleaning products. Because they are less concentrated, hydrosols don’t keep as long as essential oils do. They need to be used within 6-24 months to maintain their antibacterial properties. Adding 2% high-proof vodka to flower water can extend its shelf life. In addition, store your flower water in dark colored glass bottles in a cool, dark place. Keep the caps on tight and keep the bottle as full as possible. Transferring your hydrosols to smaller bottles as you use them will help them keep longer. Never use your fingers or any unsterilized item in the bottle; instead use a cotton ball or swab.